I must admit when I read the headline “Women Sharing a Chemical Moment in Time” my mental image didn’t include scientists. I guess that indicates that different popular meaning given to the word “chemical.” But, in reality all our moments are chemical, aren’t they? This is an invitation to local women chemists to a function kicking off the International Year of Chemistry. And why especially women? Well this year is the centenary of Marie Curie’s Nobel Prize in Chemistry. (She had already received the Nobel Prize in Physics in 1903). To mark the start of the International Year of Chemistry. 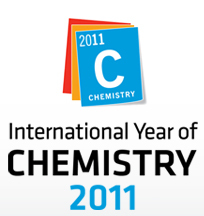 A major theme of IYC2011 is Women in Chemistry because this is the centenary of Marie Curie’s Nobel Prize. – a worldwide breakfast for women in chemistry next Tuesday the 18th of January. New Zealand, of course, gets to kick it off so this is an exciting opportunity to network with others in your local area as well as initiating an international celebration. When we finish our breakfast, we will hand over (a “chemical handshake” via Skype) to Australia, and so on as each country partakes. Year of Chemistry 20011. New Zealand’s focus on the International Year of Chemistry. More information at IYC website Women Sharing a Chemical Moment in Time. This entry was posted in New Zealand, news, science, Science and Society, Uncategorized and tagged chemistry, International Year of Chemistry, IYC, Marie Curie, New Zealand, Nobel Prize, SciBlogs, Wellington, women. Bookmark the permalink.